Ms. Johnson is a Senior Consultant with Revenue Cycle Solutions, LLC and Coding Roundtable Chairperson for PHIMA. She has over 35 years of experience in health information management (HIM). Her experience includes managing HIM departments as well as performing inpatient and outpatient audits, transitioning to ICD-10-CM/PCS, Recovery Audit Services, revenue cycle turnaround services, software development, and provide coding and reimbursement educational services to clients. 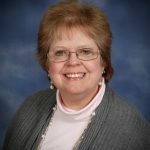 Laurie has been a featured speaker at over forty conferences and seminars including National RAC Conference, Hospital Council of Western Pennsylvania, American Health Information Management Association, and Pennsylvania Health Information Management Association. She has a BS in Health Record Administration and MS in Healthcare Information Systems from University of Pittsburgh. She was awarded a Fellow of American Health Information Management Association in 2013. When you register online, you will have the option to pay by mail with a check or pay online with a credit card (AMEX, MasterCard, Visa, or Discover).If you are paying by check, select “mail a check” under payment options. You will later see instructions to print the confirmation page and mail your payment to KnowledgeConnex. The mailing address will be on the invoice. Make your check payable to KnowledgeConnex and include the confirmation/order number with the check. Checks that do not reference the confirmation number will be returned to you and will not be applied to the registration.